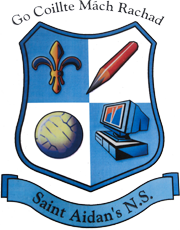 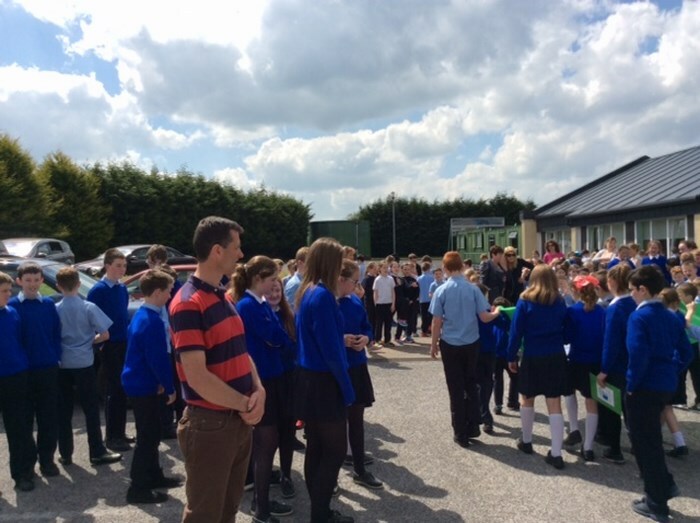 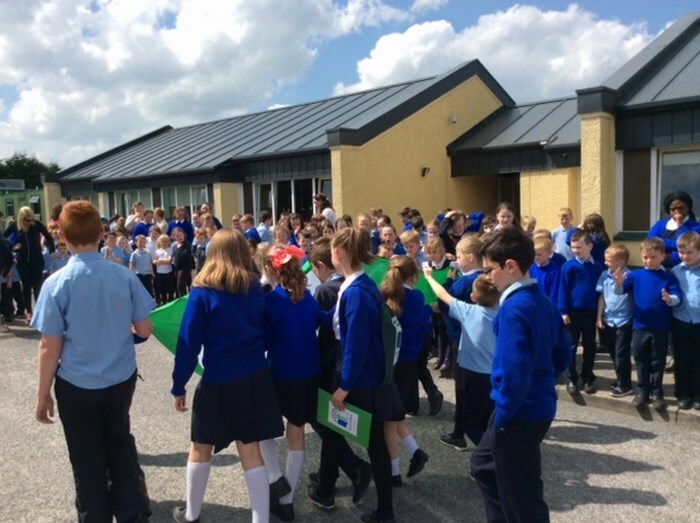 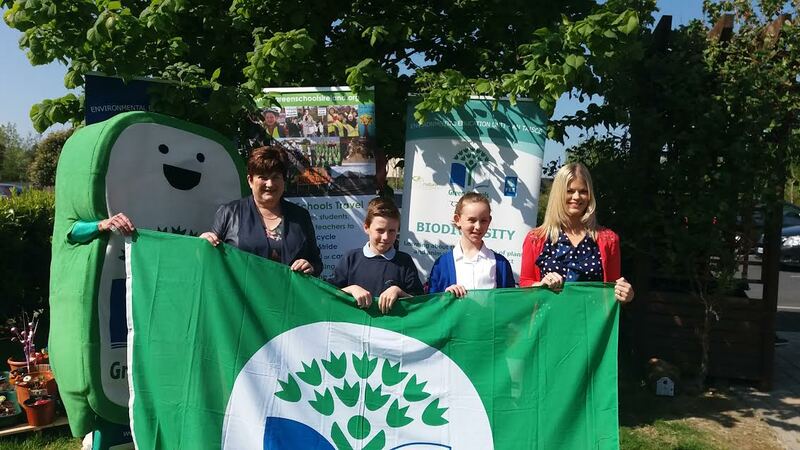 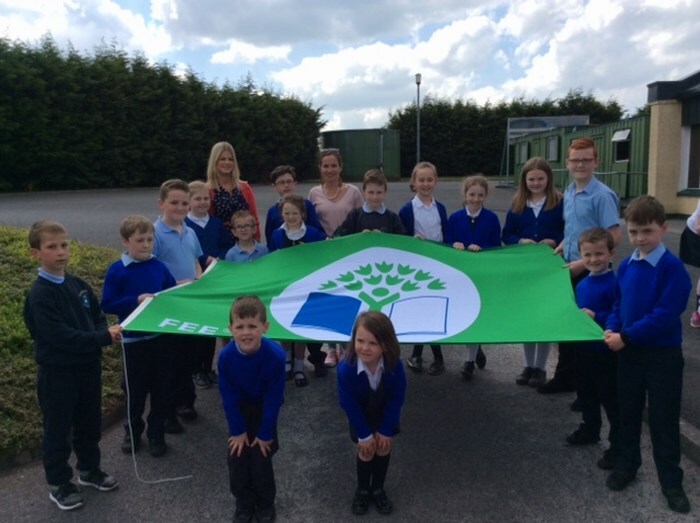 St. Aidan’s N.S.were awarded their fourth Green Flag by An Taisce at an award ceremony in The McWilliam Park Hotel, Claremorris on Thursday 11th May. 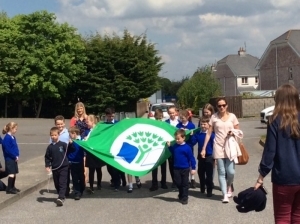 The whole school were very proud and came out to cheer as Mrs McHugh, Mrs Commons and two representatives from our Green Schools Committe brought the flag back to our school. 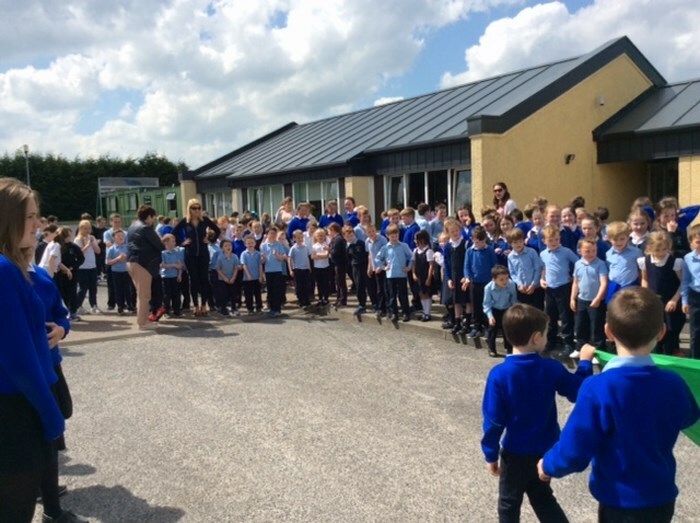 Congratulations on all your hard work and achievement! 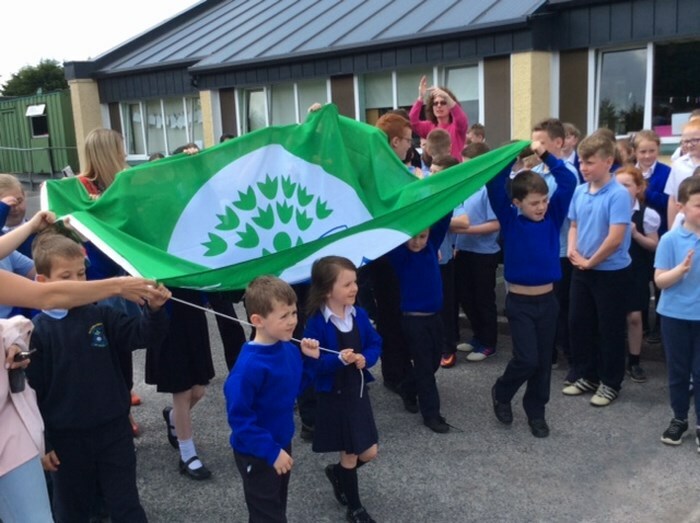 We will have an official flag raising ceremony later in June.